Please read the important information below before making a booking, it will help to make sure your booking and hire goes smoothly. BEFORE BOOKING (2): VERY IMPORTANT You will need to know the exact height of each person hiring as this is how we calculate correct bike sizing. WE RESERVE THE RIGHT TO REFUSE HIRE WITHOUT REFUND ON ANY BIKE WHERE SIZE HAS BEEN SUPPLIED INCORRECTLY. PLEASE MAKE SURE YOU SELECT THE RIGHT HEIGHT CATEGORY AND BIKE TYPE AS OFTEN NO ALTERNATIVE WILL BE AVAILABLE ON THE DAY. Ebikes may not be ridden by anyone below the age of 14 years old under UK law. For group bookings of 10 or more please follow this link and use our GROUP BOOKING ENQUIRY FORM so that we can check availability for you promptly. Incorrect adjustment of the bike by the hirer. Beics Brenin reserves the right to terminate the hire agreement and take possession of hire bikes, without refund if, in the opinion of company staff, the bikes are being used in a reckless manner or being wilfully abused. 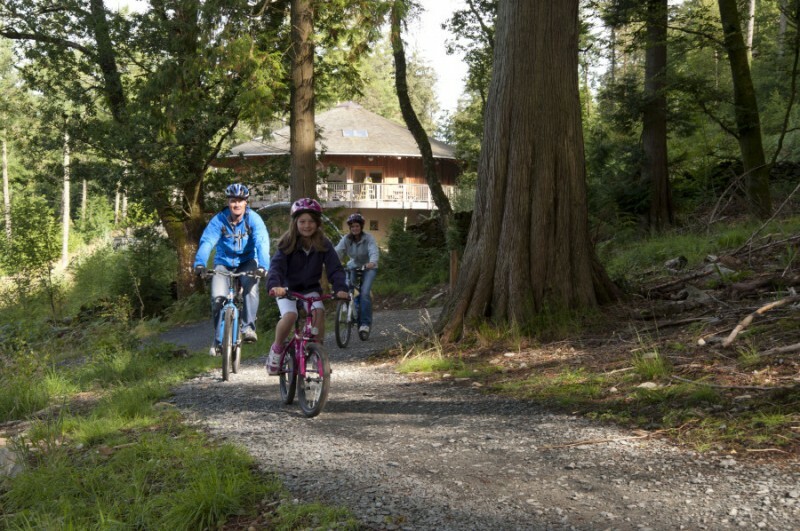 Helmets are included in the bike hire price and must be used at all times. We require photo ID (driving license or passport) to be left with us for the duration of the hire period. Rental period is from 09.00 until 16.00. Bikes returned late will be subject to a late return fee of £15.00 per 1/4 hour. A 3 hour rental constitutes any 3 hour period of your choosing and will commence from when you collected the bikes. Our bikes are for use in Coed Y Brenin forest only, for trail and XC use. Bikes may not be removed from the forest park. Bikes may not be used for competitive racing, shuttle access downhill riding or any other type of organised event. We do not permit the fitting of child seats, child trailers or ‘tag-along’ style children’s trailer bikes to any of our hire bikes. These items are not suited to use on many of the trails at Coed y Brenin. The fitting of stabilisers to our children’s hire bikes is also prohibited. All hardtail bikes come supplied with flat pedals. Full suspension bikes are supplied with flat pedals, or we can supply and fit Shimano SPD clipless pedals at a small rental charge. If you would like to use your own pedals, please let us know at the time of booking and bring them along. No extra charge will be incurred, but they must only be fitted by our staff.